What are Discovery Vitality benefits? 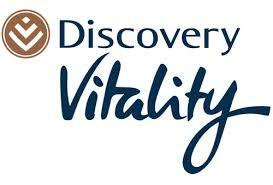 Discovery Vitality is a wellness programme linked to the Discovery Health products. They are designed to encourage members to lead healthy, active lifestyles by rewarding them with Discovery Vitality benefits. Discovery South Africa is South Africa’s largest health insurer, offering a range of Discovery medical aid plans. The scheme has the widest range of health cover on offer. And Discovery enables its members to select the Discovery medical aid plan that best suits their pocket. Members of Discovery Health plans, or holders of a Discovery Life Insurance are eligible for the Vitality programme and enjoy the Discovery Vitality benefits. 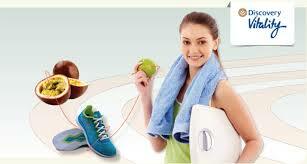 Vitality helps you to get healthier. The plan gives you the knowledge, tools, personalised wellness programmes and motivation through Discovery Vitality benefits. Discovery Health Vitality is based the fact that Vitality members have lower healthcare costs than non-Vitality members. Therefore the more a member engages with Vitality, the lower his or her healthcare costs. And therefore the greater the Discovery Vitality benefits or rewards. This is both in terms of feeling and being healthier. Also members can get discounts and cash back rewards through Discovery Vitality partners. On joining Discovery Vitality, members start at Blue Vitality status. Later, as they engage in the Discovery Vitality programme by knowing and improving their health, they progress. First to Bronze, then Silver, Gold and Diamond status which qualifies them for increased Vitality benefits.. Discovery Vitality has a three pronged approach. Enjoy the rewards of improving your health by both getting healthier, and earning Vitality points. These will increase your Vitality status and Discovery Vitality benefits. The Discovery Vitality benefits encourage a healthier lifestyle. They offer a range of discounts and cash back rewards that fall into three areas – lifestyle, travel and shopping. Discovery Vitality benefits also include the discovery/mall. This is an online shopping portal that offers Vitality members discounts on newspaper and magazine subscriptions. Expectant parents also enjoy Discovery Vitality benefits as they can join Discovery Baby and get expert advice, information and a Discovery Baby bag. Vitality members with a Discovery Card enjoy further Discovery Vitality benefits.as they get cash back in the Discovery Card store network, as well as cash back on HealthyFood at both Pick n Pay and Woolworths and earn Discovery Miles on DiscoveryCard transactions. Discovery Vitality benefits are offered through a range of partners. Through the Discovery Vitality Get Healthy Partners, Vitality members get cash back on HealthyFood at Pick n Pay or Woolworths and members can join Weight Watchers S.A. or Weigh-Less at a discounted rate. Discovery Vitality members also save on membership fees at Join Planet Fitness, Virgin Active Health Clubs and Curves, the women’s only Fitness Centre,as well as get cash back at Adidas and Totalsports stores. Members can also earn Vitality points at a variety of our outdoor fitness partners including Walk for Life and Park Run. Discovery Vitality Preventative Care Partners enable Vitality members to get cash back on HealthyCare items at Clicks and also save significantly on stopping smoking by joining Allen Carr’s Easyway or Smokenders. Discovery Vitality benefits are also offered by the Discovery Vitality travel partners and Vitality hotels,British Airways, Emirates, Qantas and Kululu, Tsogo Sun and Europcar, with discounts on local and international flight sand on local car hire. Vitality members (with a DiscoveryCard) can enjoy massive discounts on holiday accommodation. Through DiscoveryCard, Vitality members can also get up to cash back on holiday packages. Through the Discovery Leisure partners, Vitality members enjoy movies at discounted prices at Ster Kinekor and kids watch movies for free, or Big Concerts events through exclusive access tickets with a DiscoveryCard.